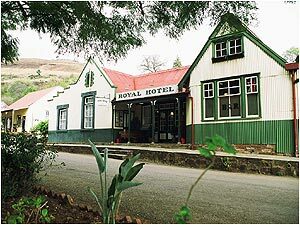 Thaba Tsweni Lodge is situated 30km from Pilgrims Rest. In the 1840’s gold was discovered in California, which created gold fever all over the world. These finds led to a search for gold in other countries, including South Africa. 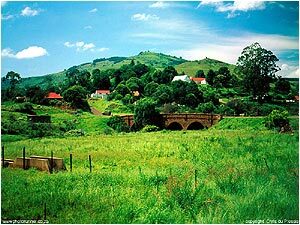 Around 1873, payable gold was found near the town of Sabie, and the camp was named Mac Mac, the area the New Caledonia Gold Fields. One of the Mac Mac diggers, a man by the name Alec “Wheelbarrow” Patterson, left this area to find his fortune elsewhere. Alec Patterson found rich alluvial gold deposits, in a creek, which he named the Pilgrims Creek. Alec Patterson was able to keep his discovery a secret until another prospector William Trafford also found the deposit. The news that followed of a rich gold strike, triggered the first major gold rush in South Africa. 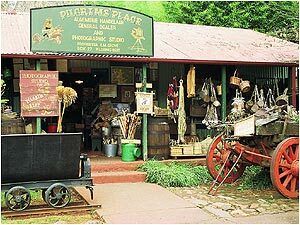 Pilgrims Rest was declared a gold field in September 1873, by the end of 1873 there were more than 1500 miners working over 4000 claims. During the first 10 years, mining activity revolved around the recovery of alluvial gold. Pilgrims Rest as a gold mining camp became the social and commercial centre for miners in the area, it was also divided into a Upper, Middle and Lower Camp. By 1896 many of the tents used by the miners, were replaced by permanent corrugated-iron buildings and became a small town with more than 16 general dealers. In 1972 the last mine in Pilgrims Rest, ceased operation. The village has survived however to become a National Monument and a museum of days gone by. 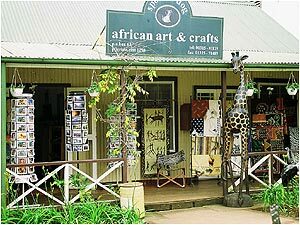 Pilgrims Rest is situated 26km from Thaba Tsweni lodge.